Steve Krug, an information architect and author of “Don’t Make Me Think” once said: “Nothing important should ever be more than two clicks away.” The concept is simple, don’t make it hard for users to discover important information. Over the years, PlaceFull has worked with hundreds of small businesses, so we’ve noticed a thing or two about what makes a website successful. In this post, we’d like to share both the ingredients and some of the secret spices that make people coming back for more. Ready for a taste? Why do you think they call it home? It’s the first experience visitors have with your brand. It’s the place where visitors go when they’re lost. The best websites have great imagery and clearly explain (without trying to be too cute) what they do and who they are. A great first impression drives new business and retains customers. Websites have to be more than show and tell. Make sure people can interact with your website. 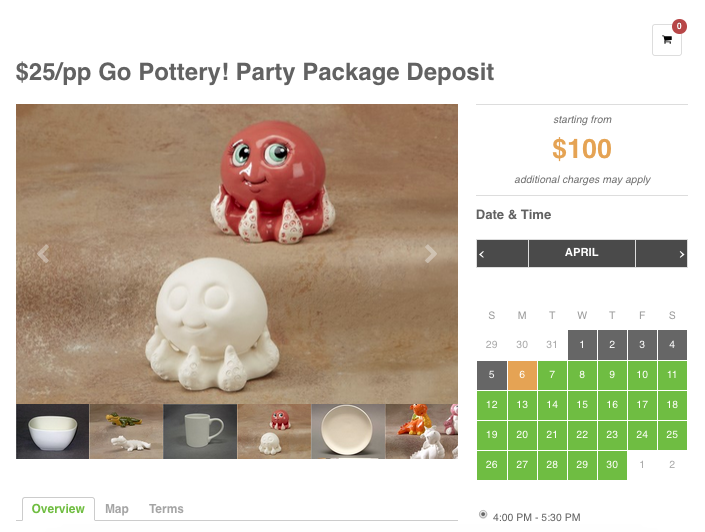 Add videos, testimonials, social links, newsletter signup, and make sure customers can book activities directly on your website. 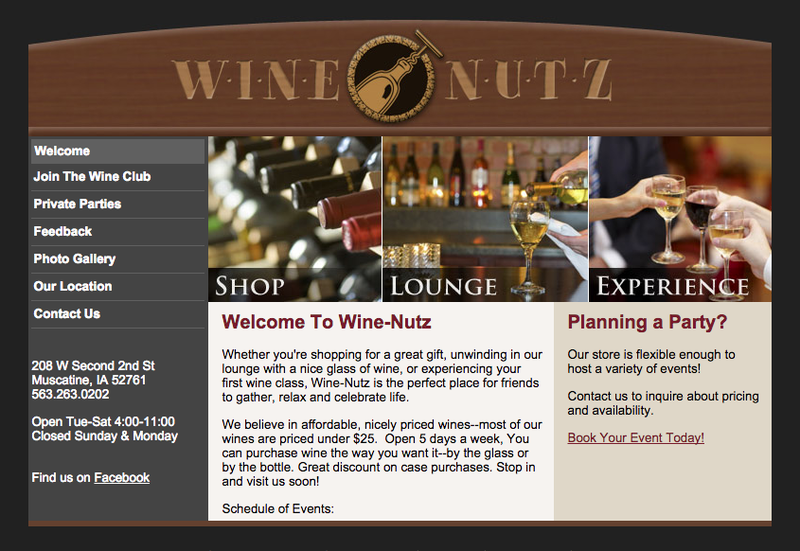 Wine-Nutz has a simple, to the point website that solves for three primary experiences: Shop, Lounge, and Experience. They clearly highlight why you should celebrate your next event at Wine-Nutz. How do your customers book activities and events with your business? 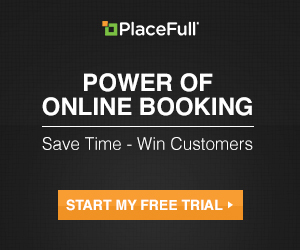 Over 35% of all bookings powered by PlaceFull occur after normal business hours. Online booking makes it convenient for customer to buy when they’re ready – no waiting, no phone tag. Have you ever used OpenTable, Uber or Netflix? All these services allow you to complete tasks instantly. Oh ya…and they all have great designs. Online booking help keeps your place open 24/7, generating more revenue for your business. Providing online booking doesn’t mean you should unplug your phone, it just gives a large segment of your audience an easier way to transact with you. We live in an instant world. Heck, Amazon bought robots to speed up shipping and are now testing drones because apparently 2-day shipping isn’t fast enough. Complete the instant gratification loop by offering online booking and scheduling on your website and Facebook page with PlaceFull. What’s your story? If you need some inspiration on the art of storytelling, check out this blog post by Seth Godin. This is the page on your website where you can detail the history, policies, employees (don’t forget to add picture of each employee), and philosophies. The information on this page should focus on “why” you started the company and “how” it’s unique. After you’ve drafted your story, send it to family and friends to gather some feedback. Then make some edits and focus on connecting with your customers. 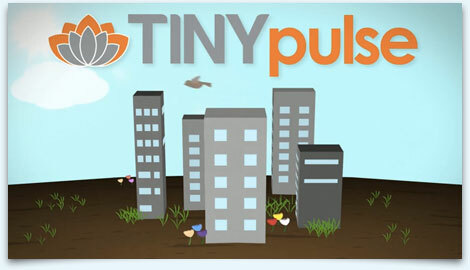 Have you heard of TinyPulse? If not, see how they present a compelling story behind their brand. This is a dedicated place to express your voice. Like anything else, before you start doing, build a plan. Answering the questions below will help guide your thinking – from why you’re starting a blog to what topics you are going to write about. What content management system (CMS) are you going to use to distribute your content? How often can you post new articles? Vertical World, a rock climbing gym in Redmond, Washington, uses their blog to establish expertise and help customers become better climbers. By providing utility and education, Vertical World is building trust in the marketplace, and with time, they will be rewarded big time! Testimonial are a great way to add comfort and build trust for new visitors. Unfortunately, not all visitors come with the buying intent (wouldn’t that be nice though? ), and for this reason, you need to convince these thinkers to buyer – you need to flip a switch. Fortunately, positive reviews and testimonials are a very effective way to add comfort. Make sure these positive remarks are added to your homepage. For best results, add videos of past customers. If you don’t have time to create videos, add images of the customers leaving the testimonials – don’t forget to get consent. See how StudioPress does it – scroll down after you click. Sites like Yelp, Facebook, Foursquare, and even Google are helping consumers make more informed decisions by allowing past customers to easily share their experiences. This means, you better be monitoring your accounts closely. If you can’t remember all those passwords, try using a service like ReviewTrackers to monitor and respond to all your reviews in one place. Don’t just focus on positive reviews. I know it’s hard not to because there’s nothing like satisfying a customer. However, pat yourself on the back and move on. Focus your thoughts on determining why 1-4 star reviews aren’t five stars. Create a list of ideas and incorporate some of these tactics to your everyday business. Don’t be afraid to add these reviews to your website. 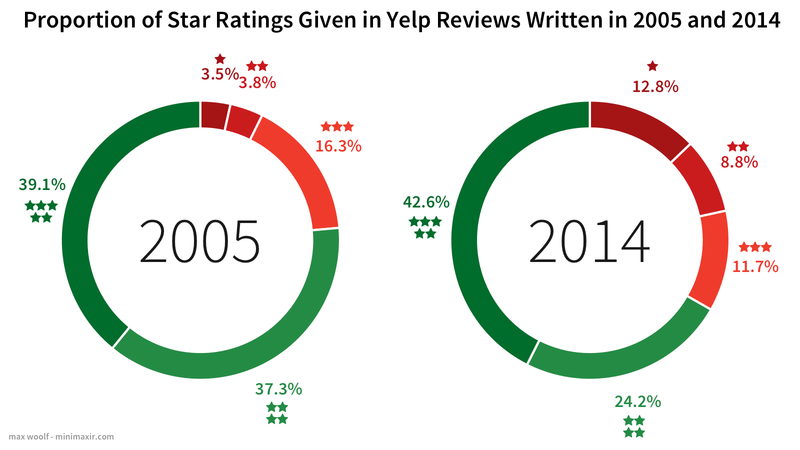 5 star reviews are up, but so are 1 star reviews in 2014, when comparing to 2005. What bucket is your business contributing to? Frequently Asked Questions, more commonly know as FAQ, is the place for customers to answer their own questions. This section of your website should reduce the amount of time you spend on support. If you aren’t overwhelmed (and by that, I mean annoyed) with questions, it may not be worth spending all the time up front to create and monitor a FAQ page. If you’re pulling your hair out, here’s how to get started. 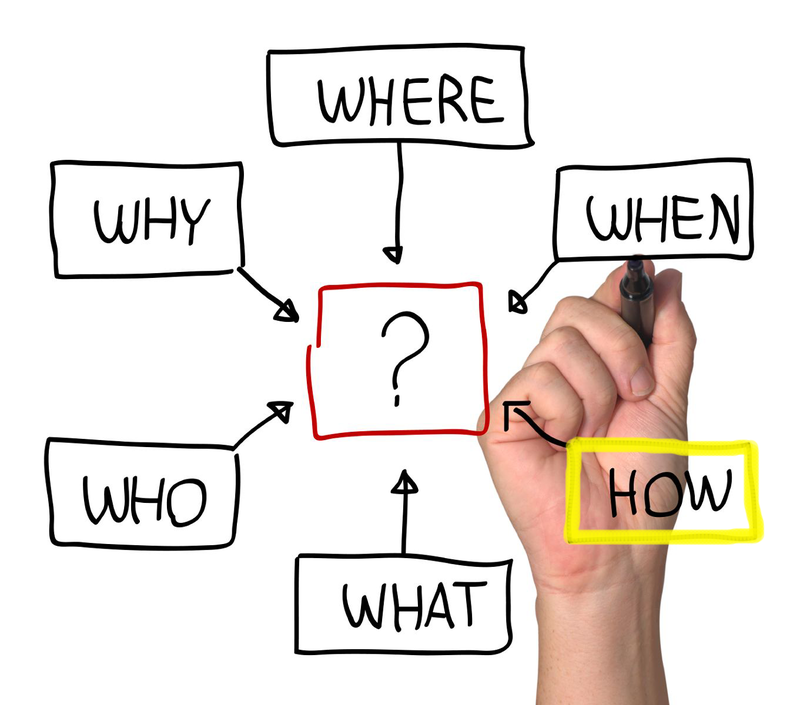 Write down as many questions as you can, and before answering them, encourage input from your staff. Now that you have a list of 20-30 questions, go spend 30 minutes with the person that is most frequently answering your phones (maybe that person is you). Pick the most important 15 and start answering them. Keep your answers short and to the point. The last thing you want is a customer calling about a FAQ. You’re not done just yet. Send the questions and answers to your staff and friends to see if there is any confusion. Lastly, simplify, simplify, simplify. Which spice is your website missing? Comment below! Categories: Merchant "How To's", Merchant News | Tags: website design | Permalink.